Many companies are successfully using videos as part of their marketing strategies – not just in product or service advertising but also in content marketing. Examples include “How To’s”, behind the scenes, and other video clips that might reflect employer branding, company culture or aspirational concepts. If your company has been part of this video revolution and you’re now looking to grow your business further by targeting new markets overseas, it’s worth thinking about re-purposing existing video content for these new regions. The ideal solution will depend very much on your particular localisation project, for example if your video contains a small proportion of spoken word, or specific instructions such as a “how to” video, you might opt for subtitles alone. However, voiceovers are perhaps the most effective method as they really speak to your target audience – in their language! 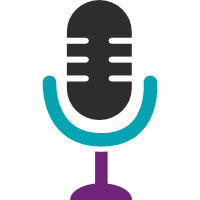 Allows for further localisation of your content, for example in tone – it may be more appropriate in some regions for the voiceover to be more formal than in others. Of course, not all video content will work effectively in all areas of the world, and therefore before embarking on a localisation project you must assess whether your video assets are suitable brand advocates in your overseas markets. For example, elements of your video content may not be appropriate in your chosen regions: perhaps they’re too location specific, or contain cultural references that might offend in other cultures. If in doubt, employing colleagues, contacts or dealers based in the local markets to assess your existing content is a sensible precaution. Their local knowledge is also invaluable in deciding on the specification for a voiceover artist: age, gender, regional accent etc. If you’re planning to either re-purpose existing video content for a global audience, or know that your future video releases will need multilingual voiceover production, please contact us at Comtec for a chat about your requirements. We’re very happy to advise you on the best course of action. Email info@comtectranslations.com or call +44 (0) 1926 335 681.